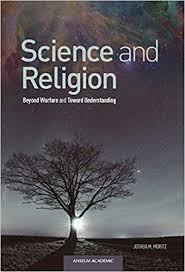 Connections Between Science and Religion research papers illustrate that religion and science can work together. Religion and science are both mainstays of American life. Both are building blocks upon which the country continues to grow and thrive. For almost as long as the two have co-existed, individuals have questioned whether or not they can ever be integrated. Tradition has taught mankind that religion and science are two competing theories that can never be intermixed. Science and religion put forth competing theories on how the world was created, who is responsible for such creation, and what happens to individuals when they die. Further, science proposes solutions for many of society’s problems that many religions clearly define as wrong, such as abortion, stem cell research, and cloning. Early scientists and philosophers integrated science and religion to explain the course and state of the cosmos. For instance, Galileo, Kepler, Descartes, and Newton all asserted that mathematical relations, the foundation of science, were a product of God. According to the four, it was God who invented mathematics and then imposed mathematical laws on the universe to back them up. More than 100 years ago, William James remarked, “I do not see why a critical science of religions might not eventually command as general a public adhesion as is commanded by a physical science”. In James view, studying religion by way of science could shed more light on the issue than philosophy alone. James believed that philosophy fell short in that it failed to “capture the depth, motion, and vitality of religion”. By focusing on religion from a scientific point of view, researchers could better determine the concreteness of the religious experience. Paper Masters writes custom research papers on Connections Between Science and Religion and illustrate that religion and science can work together.